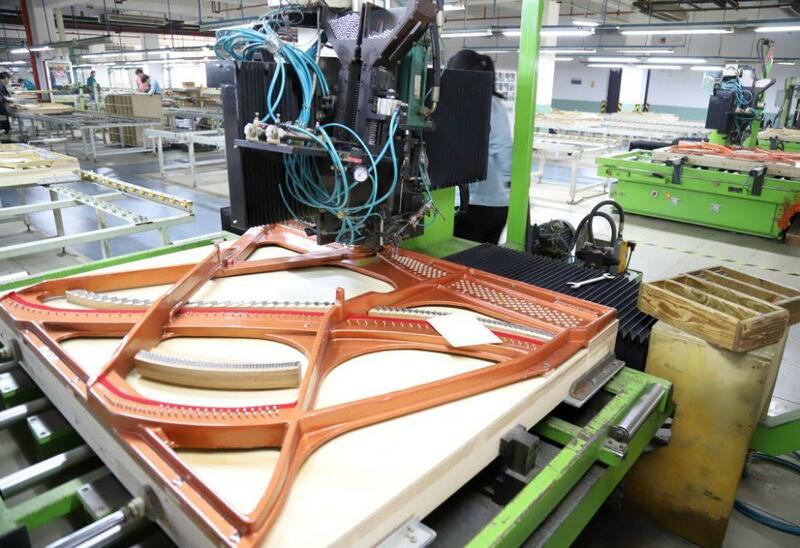 FEURICH started producing pianos in Ningbo, China, in 2003. 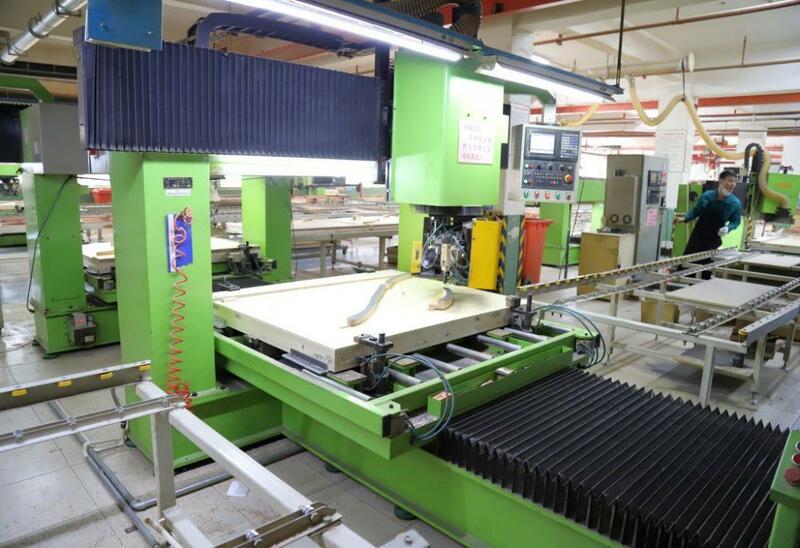 The high-precision CNC machines there made it possible to produce the complete selection of components required for piano building. 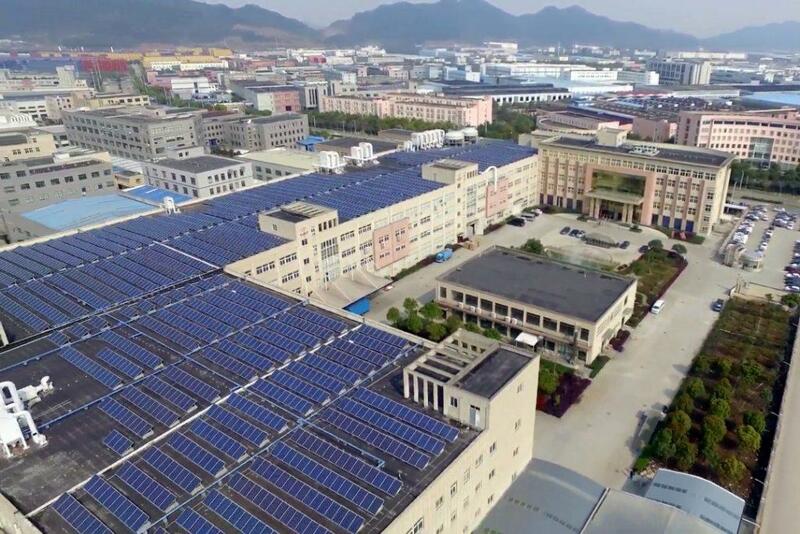 The FEURICH production line at Ningbo is characterised by assembly procedures using the highest-precision CNC machines and the use of carefully chosen raw materials, as well as attention to detail in quality control. 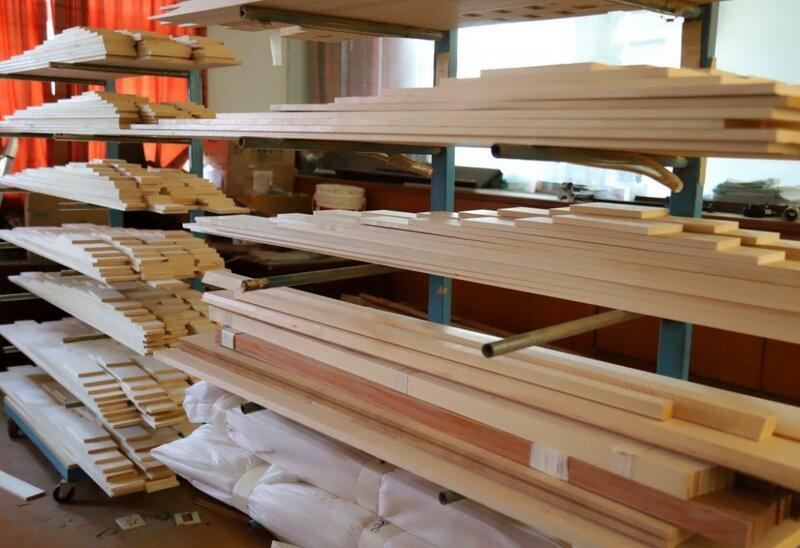 Components such as the soundboard and ribs are made using high-quality, slow-growth spruce wood from Austria, Mongolia and Russia. 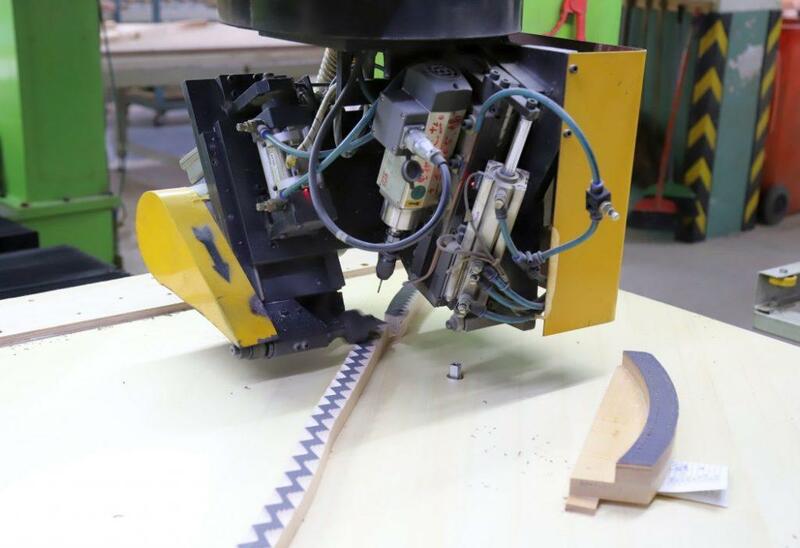 The bridge, the multi-laminated pinblock and soundboard bracing are all made of quality hardwoods from Europe and Canada. 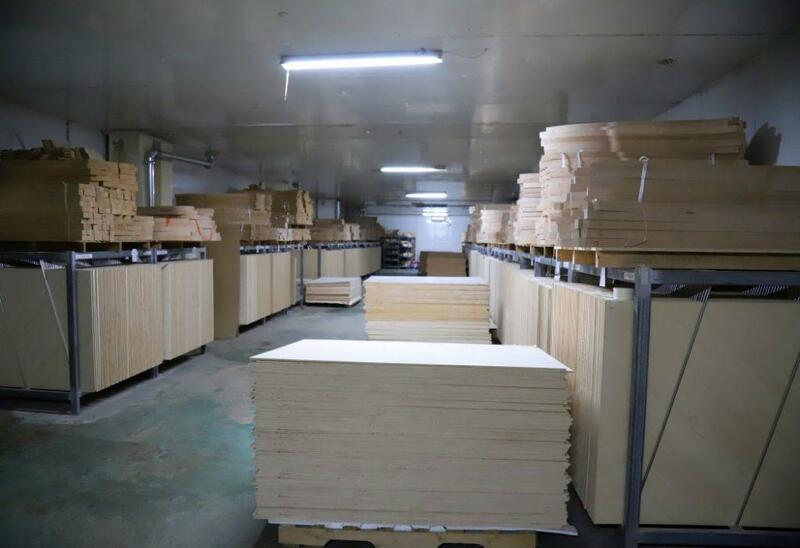 These components all spend considerable time in specially-designed drying rooms, in order to ensure their shape is preserved over the long term. 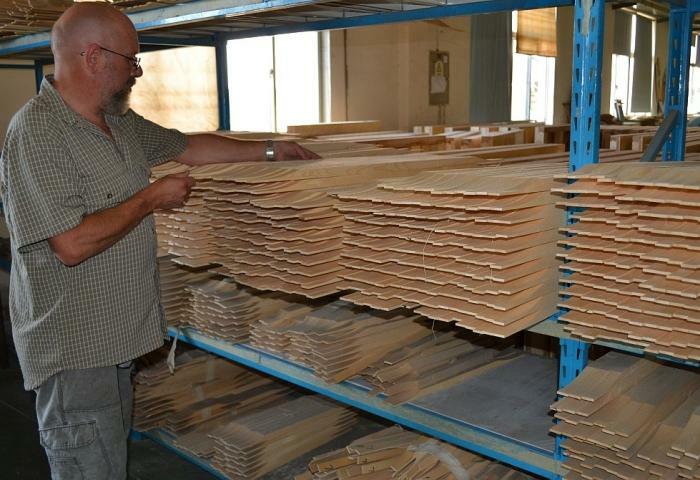 The CNC machines ensure that all components are perfectly milled to the highest degree of precision, and the subsequent gluing ensures that the construction is robust, resulting in an instrument with a stable tuning and reliable sound for years to come. 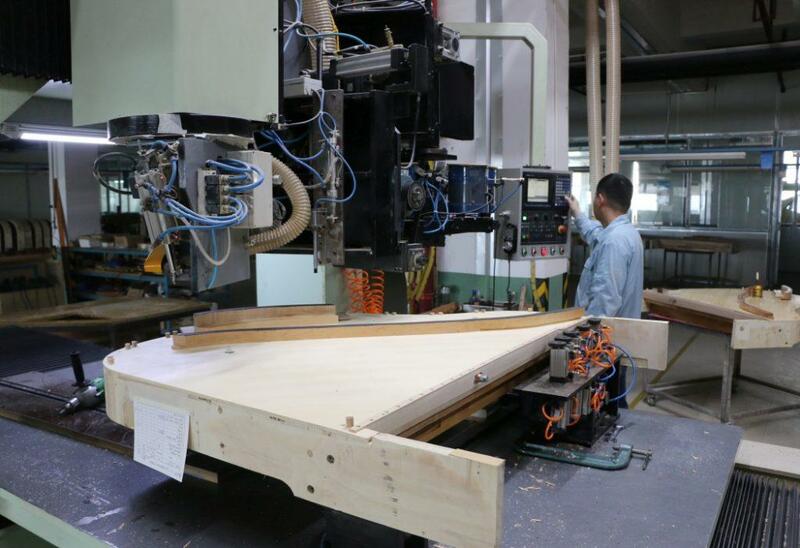 The piano’s frame is also meticulously milled by CNC machine to a high degree of accuracy. 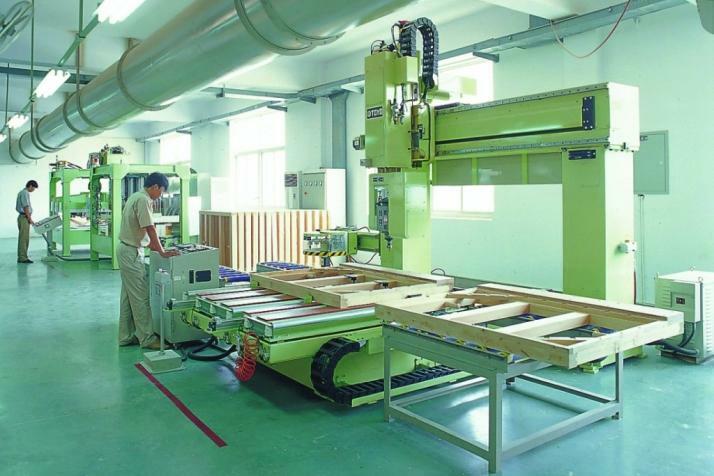 After the tuning block and soundboard bracing have been glued, the CNC machines work on forming the precise curvature desired and the positioning of the ribs. 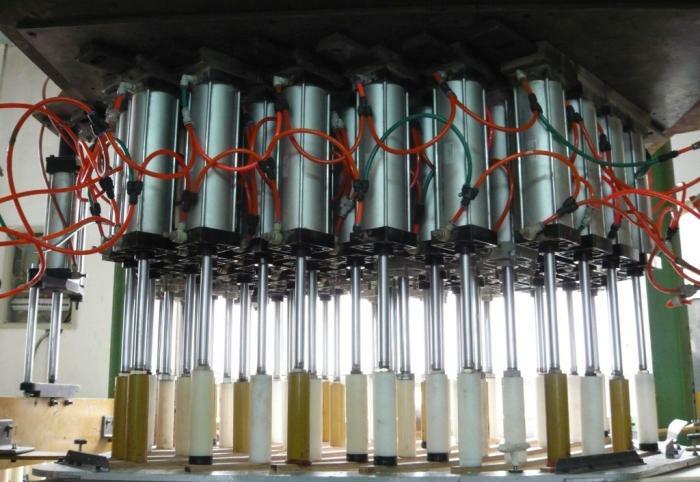 This process ensures the desired sound, and an excellent degree of consistency in the FEURICH serial production. 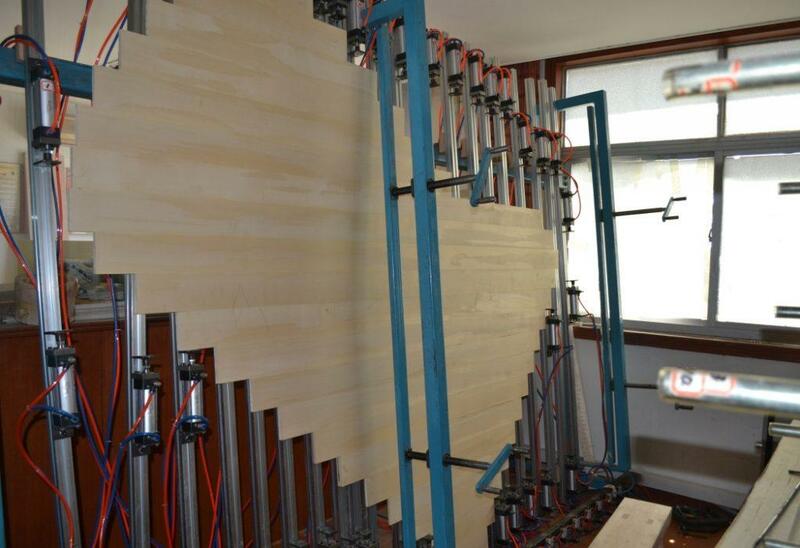 When adding the ribs, a computer-steered thermal press is used to ensure a consistent curvature and shape in the soundboard. 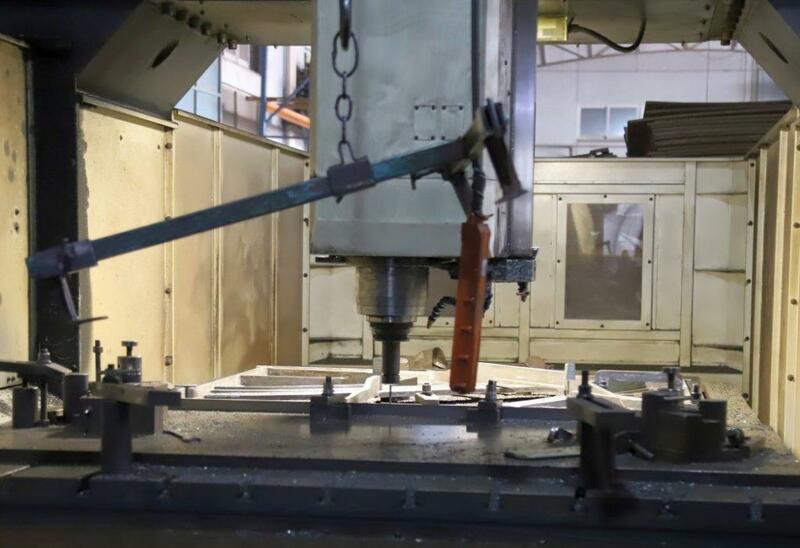 Dedicated CNC machines bore the holes in the bridge for the bridge pins and then insert the pins in a fully automised procedure. 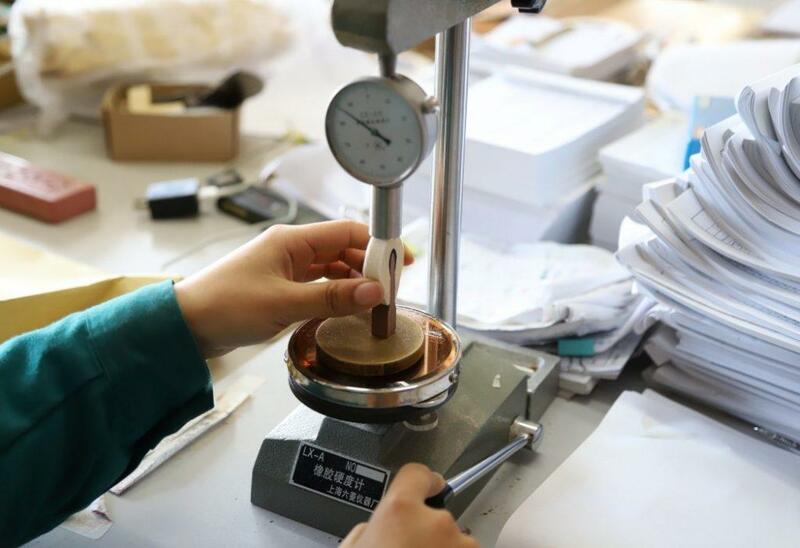 The tuning pins are inserted into the pinblock at a high pressure which is even and consistent throughout the entire process––ensuring long-lasting tuning stability. Only high quality strings made by the brands Paulello and Röslau are used, and particular attention is paid to uniformity when stringing the instruments. 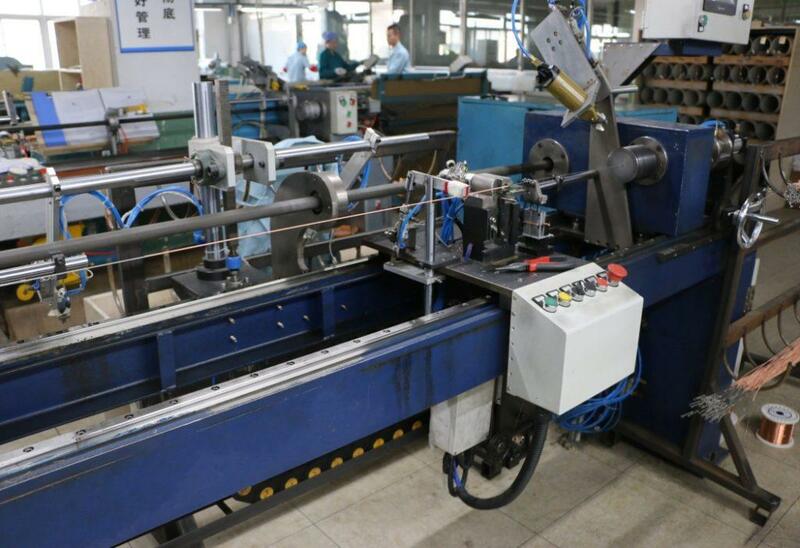 Specially constructed machines spin the strings to a high degree of precision. Taking a look inside the instruments, it is easy to see the numerous components which have been specially developed and are unique to FEURICH––the robust yellow FEURICH felts, the carfully selected hammer heads, the woods and metal parts etc. 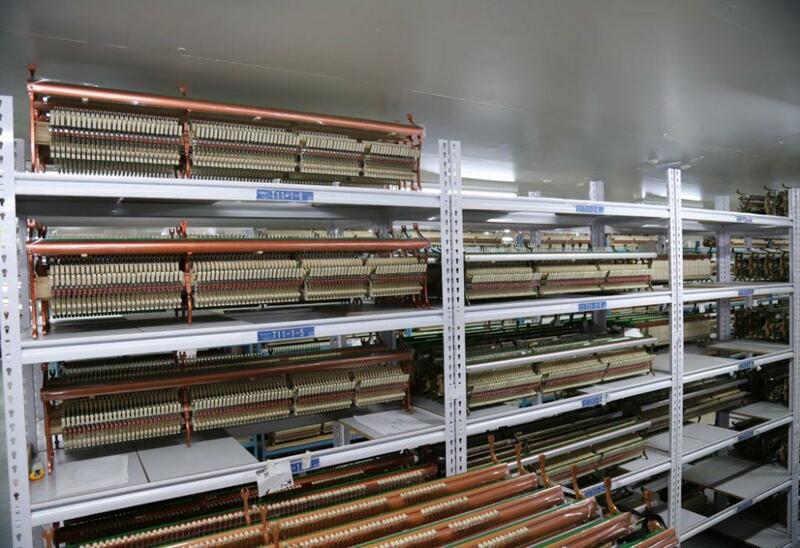 As an additional check, each instrument is sent to a temperature-controlled room where it is reworked and checked a further three times during the production process. 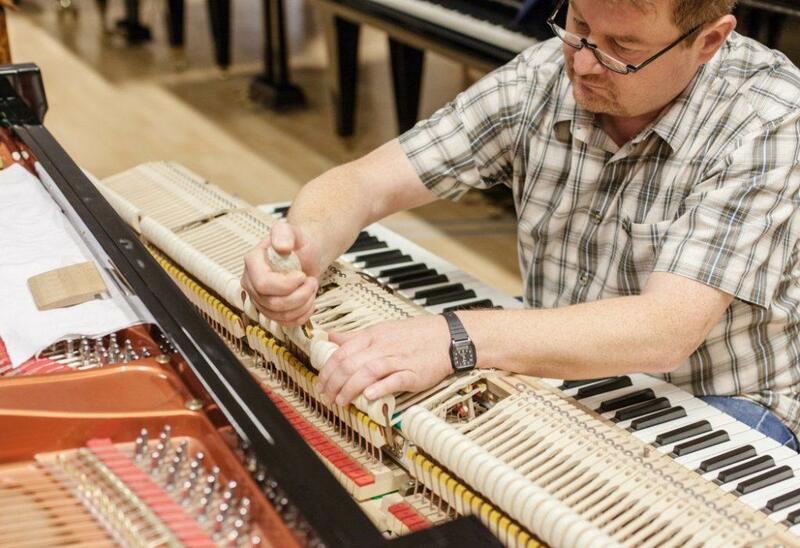 Through exact planning and careful design, the tuning pins on FEURICH pianos are perfectly distributed, meaning that tuning is easy and tuning stability is long-lasting. 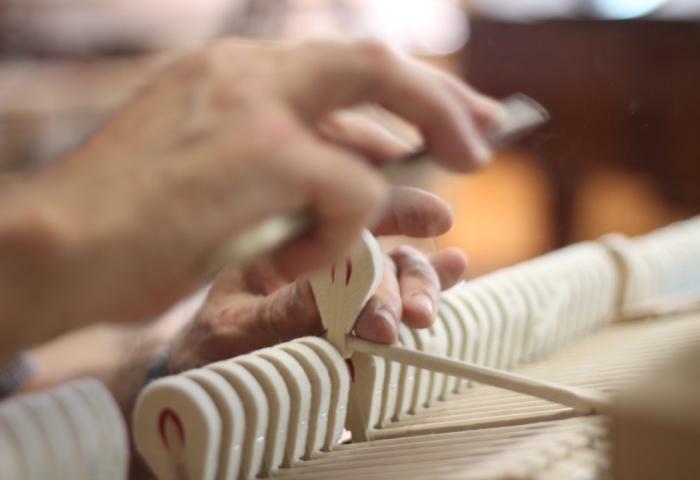 The first tuning involves quickly bringing the tension in the strings up to the point where the correct tone is heard. 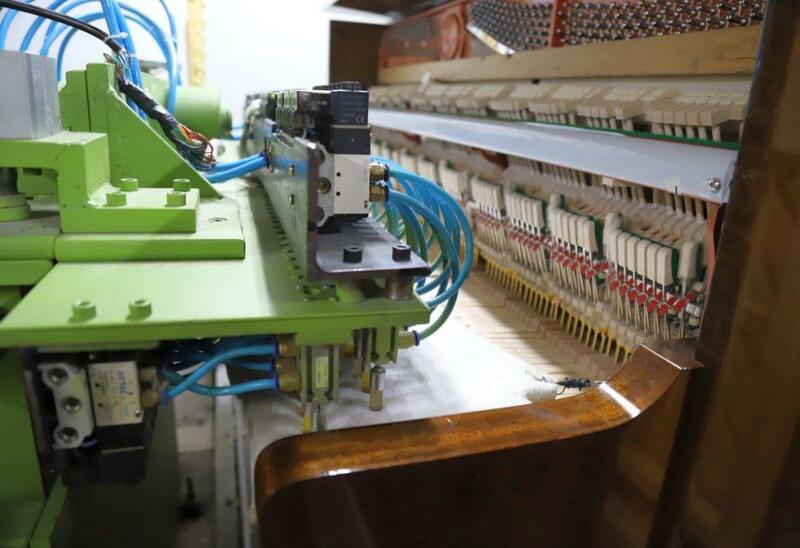 The final touches are given to the casing, and the piano is then brought to the machine which “plays in“ the keyboard and action. 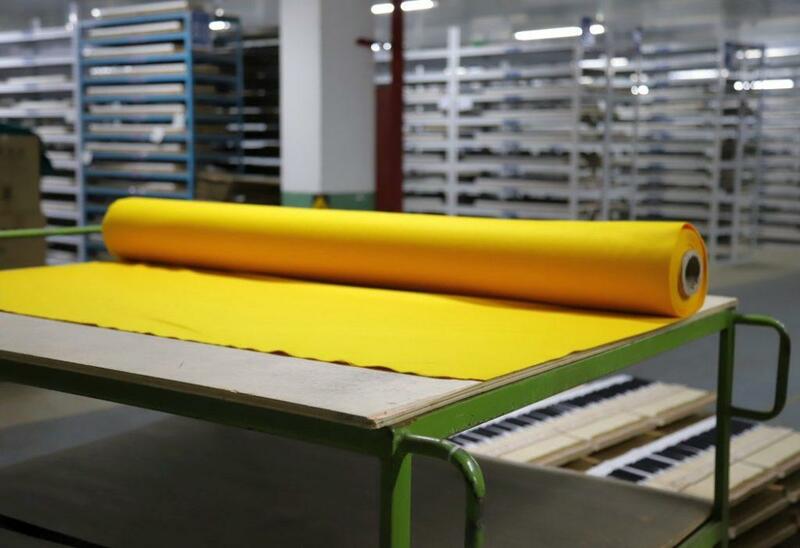 The last step is to regulate and tune the piano once more, before it is vacuum-packed in aluminium foil to ensure no humidity enters the piano. 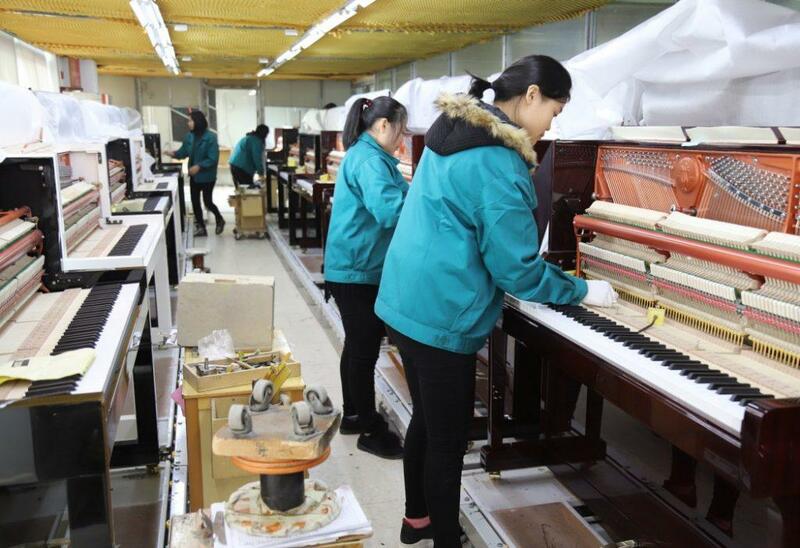 The final preparation of the pianos i.e. tuning, regulation, voicing, is always carried out at one of our logistics centres, or by one of our many qualified and experienced retail partners worldwide.